Hospice of Southern Illinois is proud to participate in the We Honor Veterans program. Conducted by the NHPCO in collaboration with the VA, We Honor Veterans is a national hospice awareness campaign whose mission is to create Hospice-Veteran Partnerships (HVP). HVPs are coalitions of VA facilities, hospices, and others working together to ensure the providing of excellent end-of-life care for the approximately 680,000 U.S. Veterans who pass away each year. Most Veterans are not enrolled in VA and may not know about end-of-life services and benefits available to them, including the Medicare Hospice Benefit and VA-paid hospice care. HVPs help Veterans obtain access to hospice and palliative care at the time of their need. 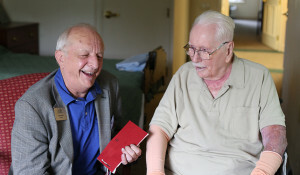 At Hospice of Southern Illinois, new patients are asked about their military service and, if they were in the military, more related information is gathered by the Hospice. This additional information will help determine what type of care for which the patient is eligible based on the date and length of their service. Also, Hospice of Southern Illinois works closely with the VA to expedite the end-of-life benefits to ensure that they are available to the patients and survivors as quickly as possible, sometimes shortening the process by up to one year. The Virtual Flight of Honor experience, presented by Hospice of Southern Illinois is a morning of honor, reflection and appreciation. Veterans, their families, and the community “take off” at the Virtual Flight of Honor program, a product of Hospice of Southern Illinois’ Level 4 Status in the We Honor Veterans Program, a national program between the National Hospice and Palliative Care Organization and The Department of Veteran Affairs. Several community partners came together to make a successful ceremony and reception lead by Hospice of Southern Illinois’ own veteran Marine, Kim Johnson of Granite City. Together, alongside Hospice of Southern Illinois’ staff and volunteers, city officials, leaders, employees, and other community partners, we honor veterans through a patriotic service, an educational virtual tour of a typical “Honor Flight” day, and everyone’s favorite part, “welcome” the veterans home! Those in attendance experience the excitement, from a Veterans point of view, a typical “Honor Flight” day without leaving their hometown. 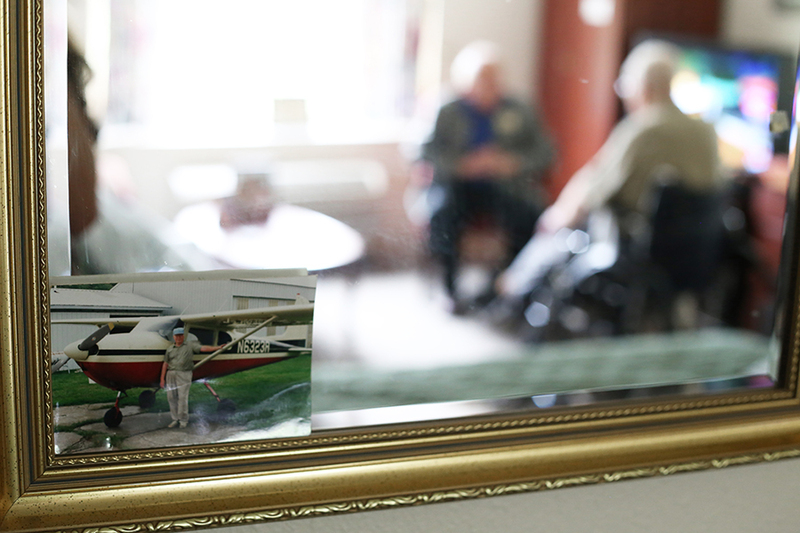 Our services are open to veterans, their families and to the public. To view photos from our different Virtual Flight of Honor programs, please visit our Facebook Page, www.facebook.com. December 12, 2018: Virtual Flight of Honor at Brightly Senior Living in Mascoutah, Illinois. November 28, 2018: Virtual Flight of Honor Program at Belleville/Swansea Moose Lodge 1221. November 8, 2018: Virtual Flight of Honor Program at Freeburg Care Center. July 2018: Hospice of Southern Illinois’ Belleville Location celebrates the milestone of achieving We Honor Veterans’ Partner Level Four Status, the highest recognition of this program. Read the full update here. June 14, 2018: Virtual Flight of Honor Program at Oak Hill in Waterloo, Illinois. January 2018: Hospice of Southern Illinois’ Marion Location celebrates the milestone of achieving We Honor Veterans’ Partner Level Four Status, the highest recognition for this program. Read the full update here. November 10, 2017 – Hospice of Southern Illinois’ 1st ever Virtual Flight of Honor Program at Aviston Countryside Manor. Army Veteran with a member of Hospice of Southern Illinois’ experienced hospice team. Hospice of Southern Illinois’ Veteran team members and volunteers.